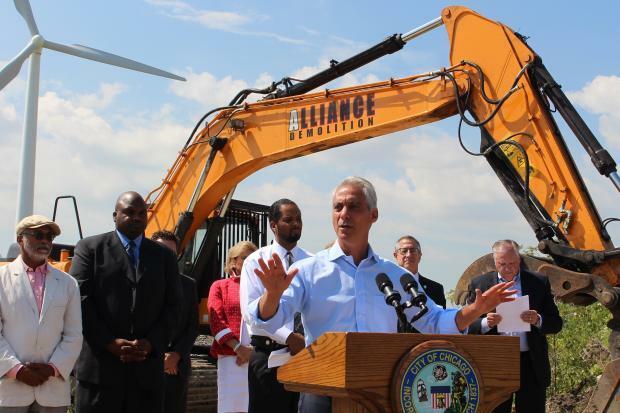 PULLMAN — Mayor Rahm Emanuel led South Side politicians in breaking ground on a Whole Foods distribution center in Pullman Tuesday, a center lured away from northwest Indiana thanks to millions in city incentives. Announced in March, the facility is set to employ at least 150 people by the time it opens in early 2018, officials said. "A lot of people know the rich history Pullman has served in United States history," Emanuel said. "The future we're building is another thing." "When you create jobs, crime goes down," said Ald. Anthony Beale (9th). He claimed a 44 percent drop in violent crime in Pullman in recent years, which he attributed to the economic development launched by a Walmart and other businesses in the community. He said the neighborhood is clearly on the upswing. Backed by state Sen. Donne Trotter, state Rep. Elgie Sims Jr. and Ald. Anthony Beale, Mayor Rahm Emanuel prepares to help break ground on a new Whole Foods distribution center in Pullman. Although Gov. Bruce Rauner likes to say Indiana has a more business-friendly climate than Illinois, Chicago political leaders managed to lure the distribution center from Munster, Ind., in part by sweetening the deal with $7.4 million in Tax Increment Financing funds earmarked for the project. The 150,000-square-foot Pullman facility will be twice the size of the one that already stands in Munster, officials said. Whole Foods was not only drawn by the nexus of highways surrounding Pullman, but to two key suppliers, Method and Gotham Greens, already located in the neighborhood. "It's a nice big site," said Whole Foods spokeswoman Allison Phelps. "We're really exited to have new space to grow." 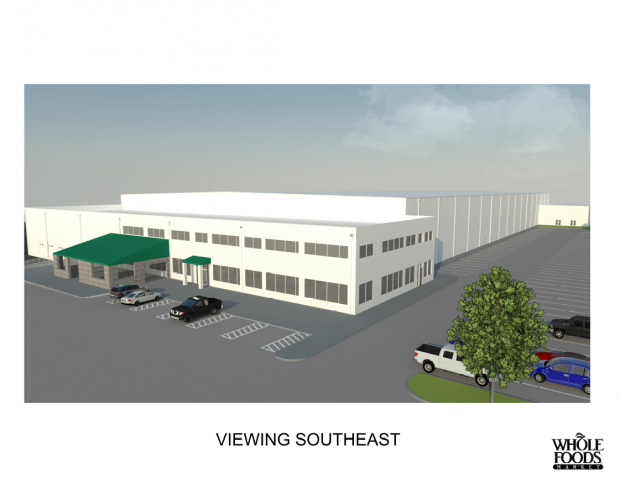 According to Phelps, the Munster distribution site is on five acres, while the Pullman site, on vacant land on what amounts to the 700 block of East 111th Street, is 16.5 acres, a major difference that also contributed to the move. 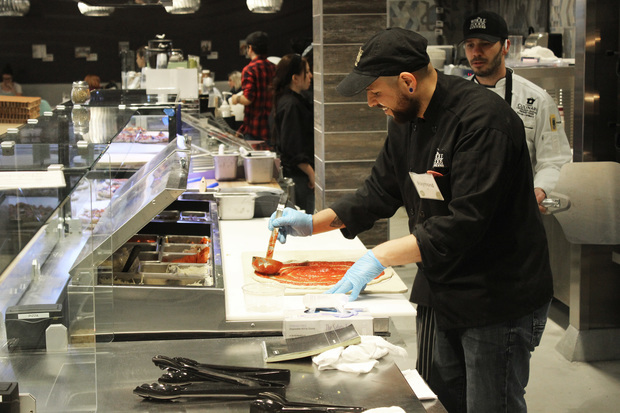 The facility will service 70 Whole Foods locations across the Midwest and Canada, including a new grocer that opened in Hyde Park last month and another set to debut in Englewood later this year, officials said.